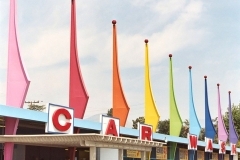 Googie architecture is a form of modern architecture, a subdivision of futurist architecture influenced by car culture, jets, the Space Age, and the Atomic Age. 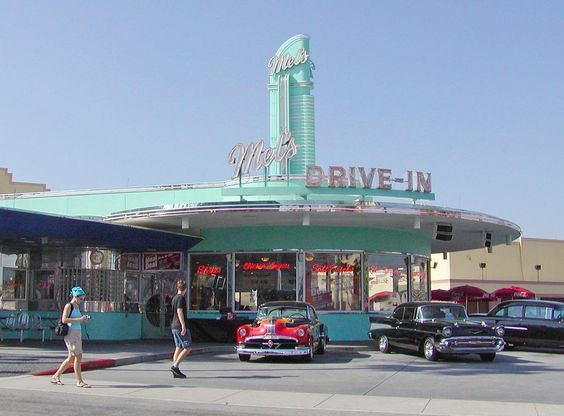 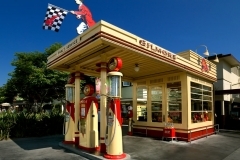 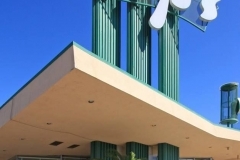 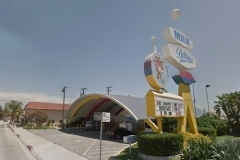 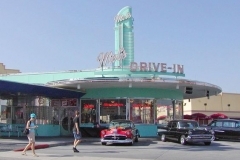 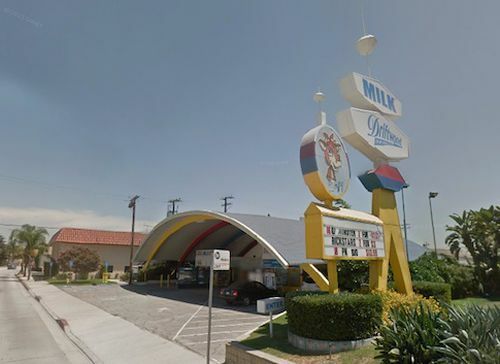 Originating in Southern California during the late 1940s and continuing approximately into the mid-1960s, Googie-themed architecture was popular among motels, coffee houses and gas stations. The style later became widely known as part of the Mid-century modern style. 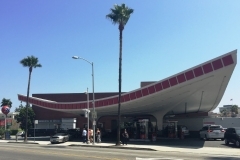 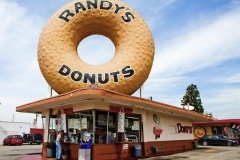 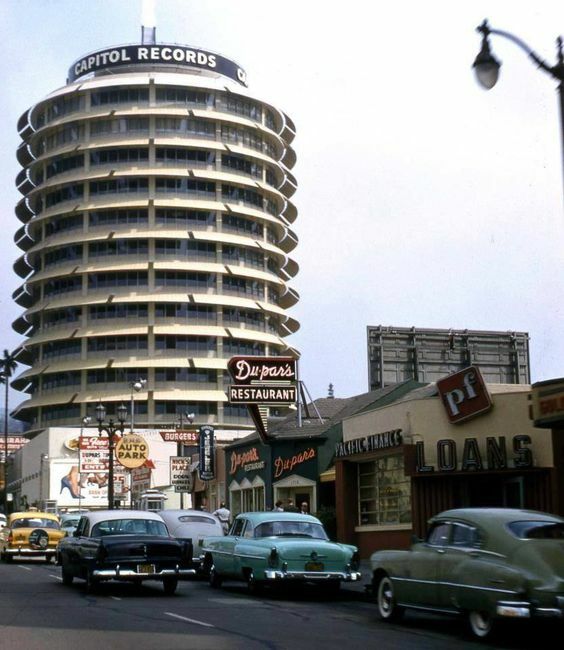 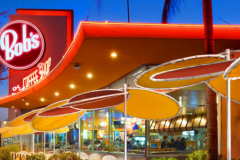 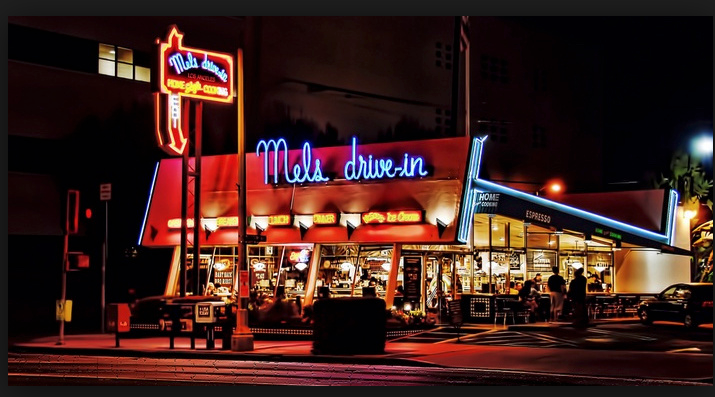 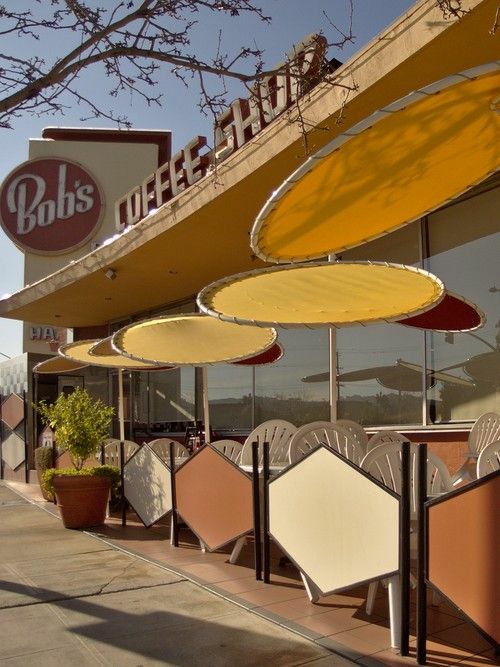 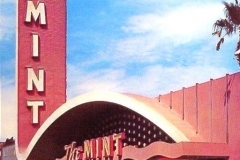 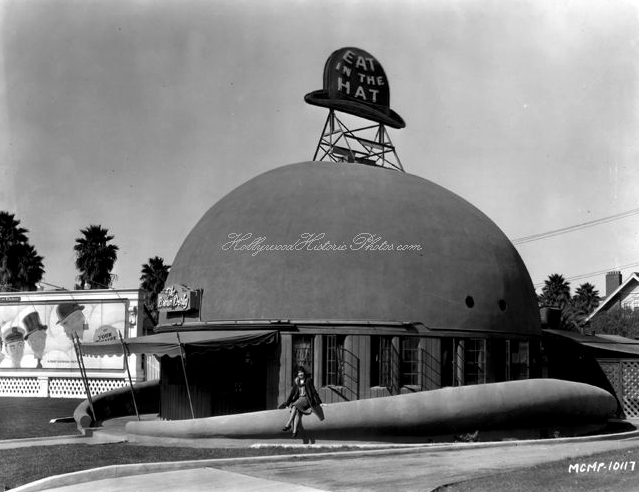 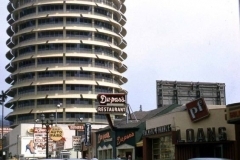 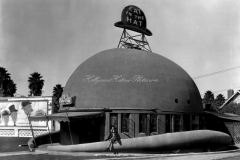 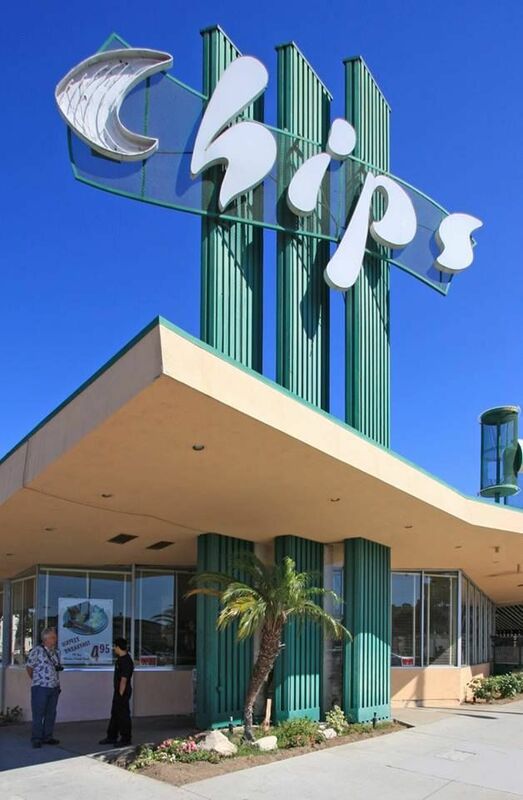 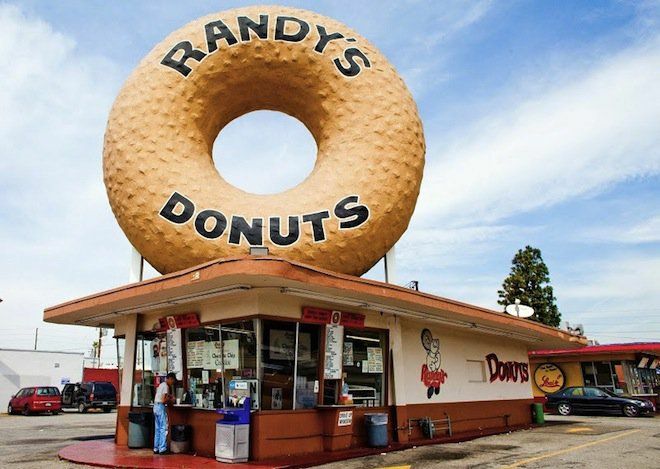 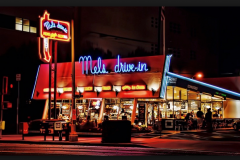 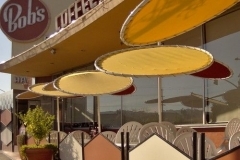 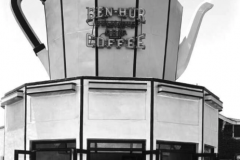 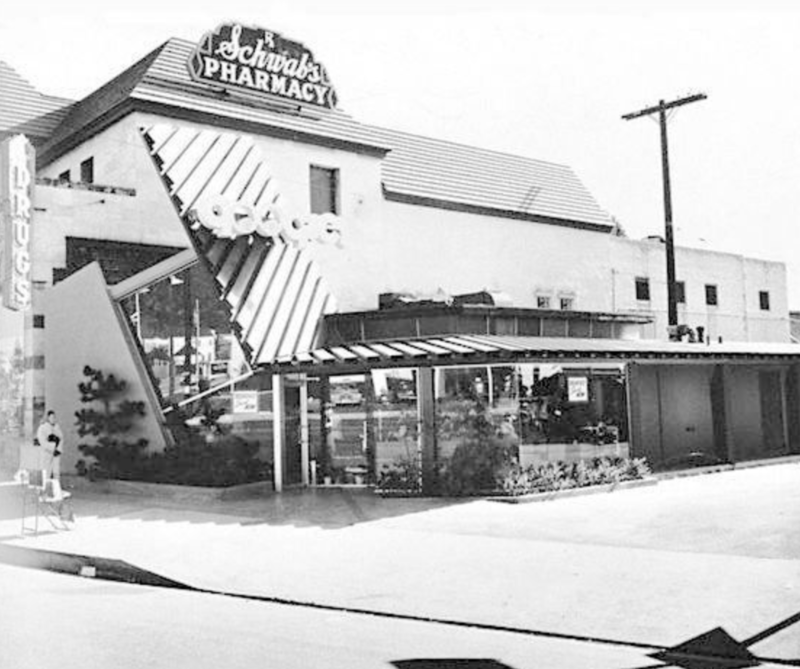 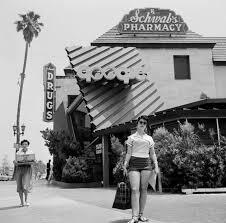 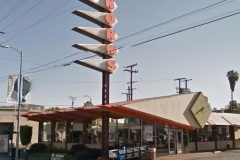 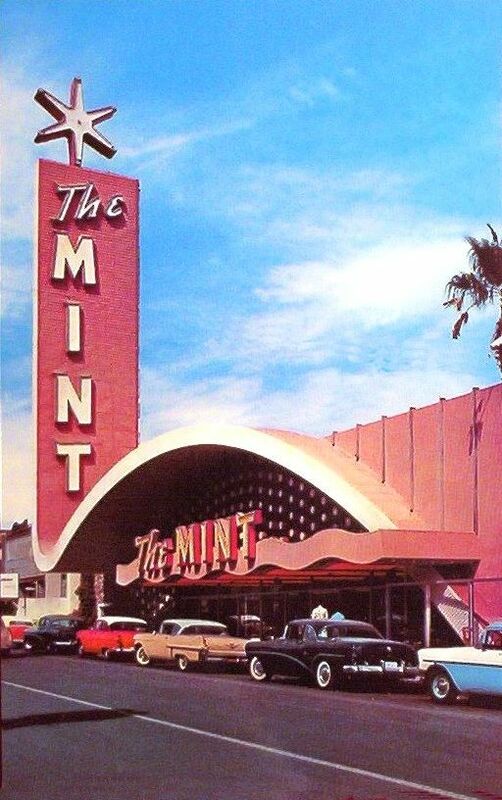 Also known as “CoffeeShop” style, buildings like these get their name from a now-closed cafe on Sunset Boulevard – Googie’s –designed by architect John Lautner. 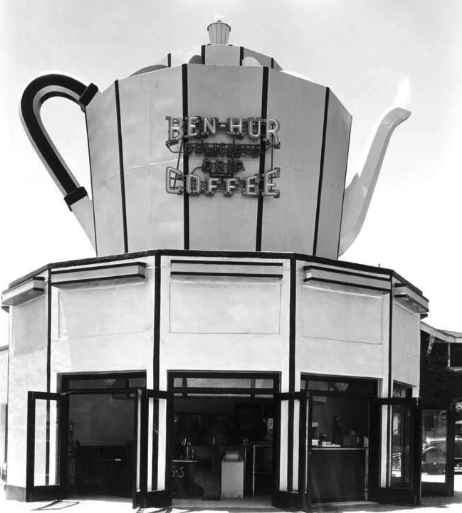 He captured the full exuberance of post war design in 1949. 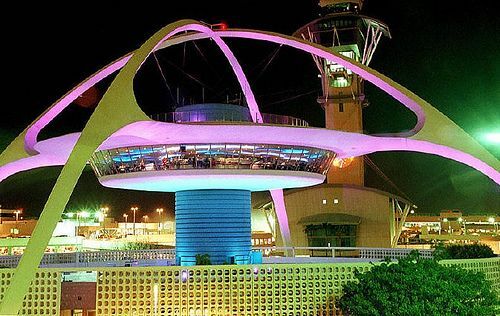 Decked out in neon lightsand with a bold sharp-angled roof line – it fit the zeitgeist to a T. Similar architectural styles are also referred to as Populuxe or Doo Wop. 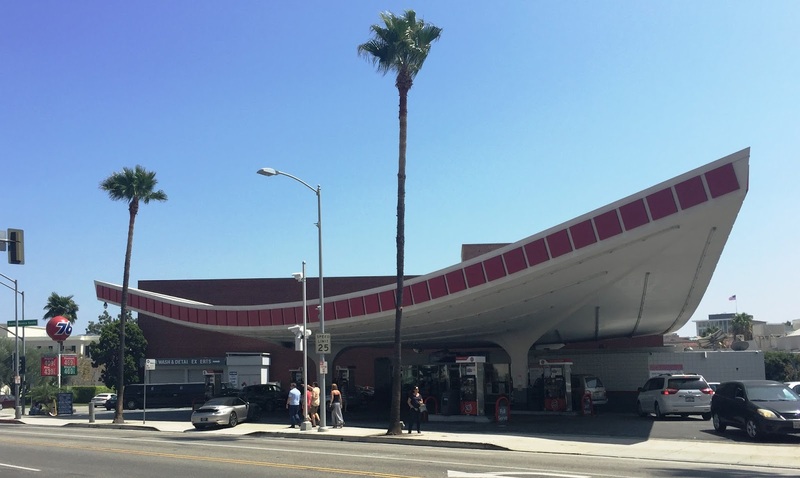 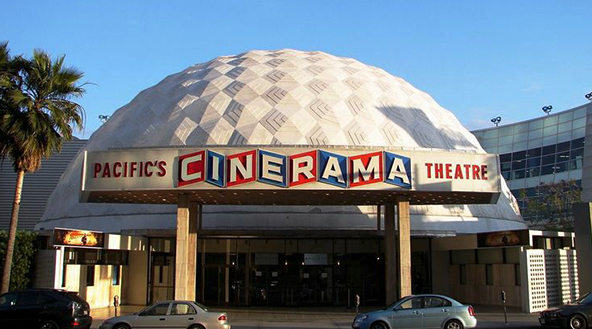 While it was beloved by the Hollywood scene, it was panned by critics who thought it was a betrayal of the orderliness and restraint of other types of modern architecture. 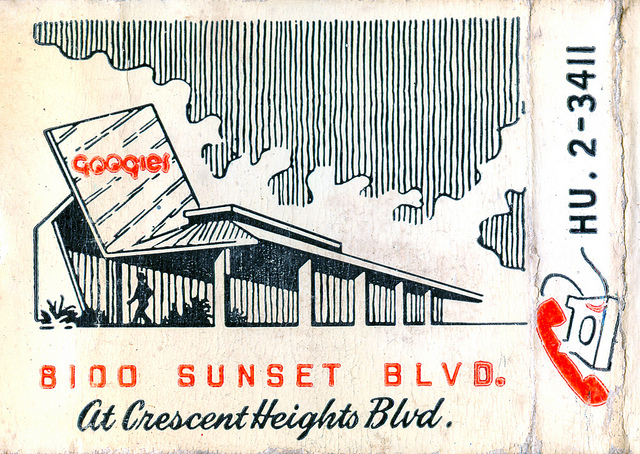 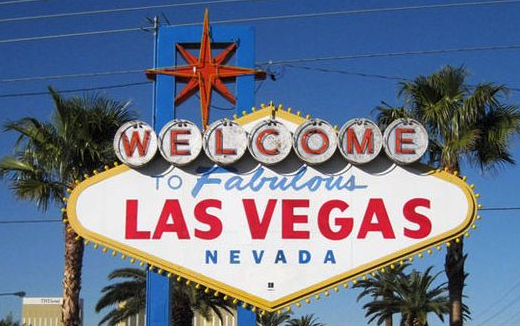 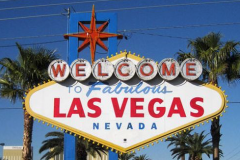 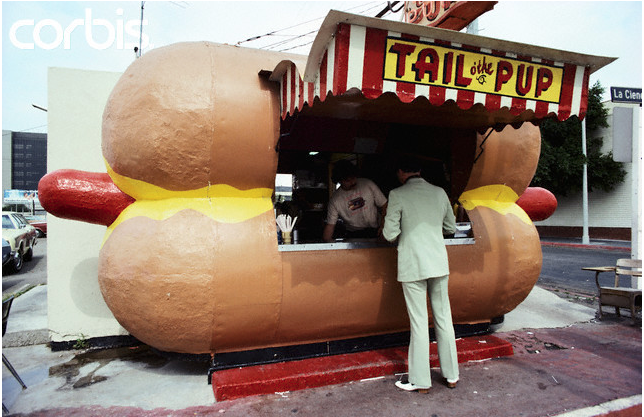 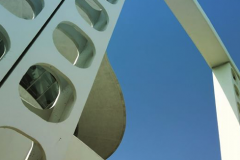 Features of Googie include upswept roofs, curvaceous, geometric shapes, and bold use of glass, steel and neon. 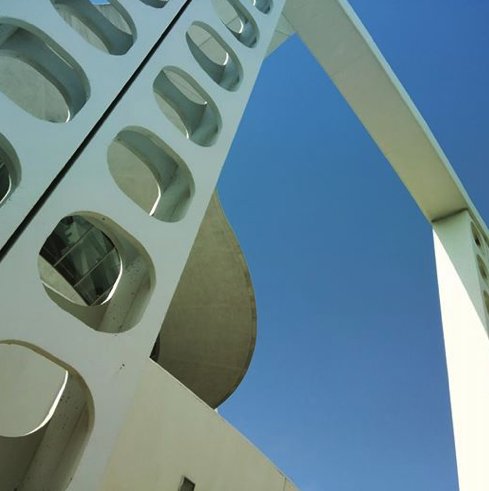 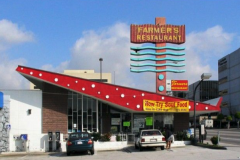 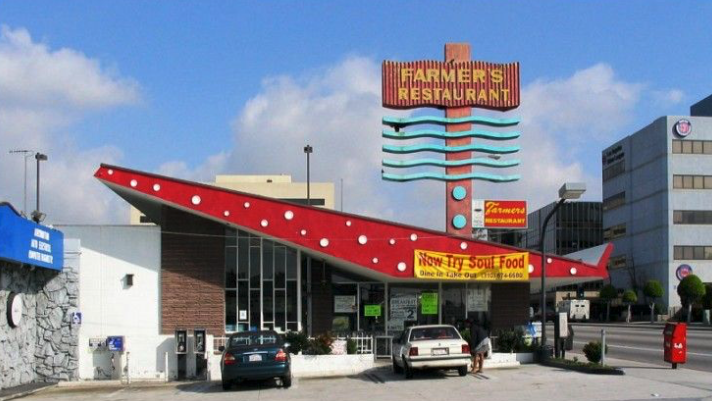 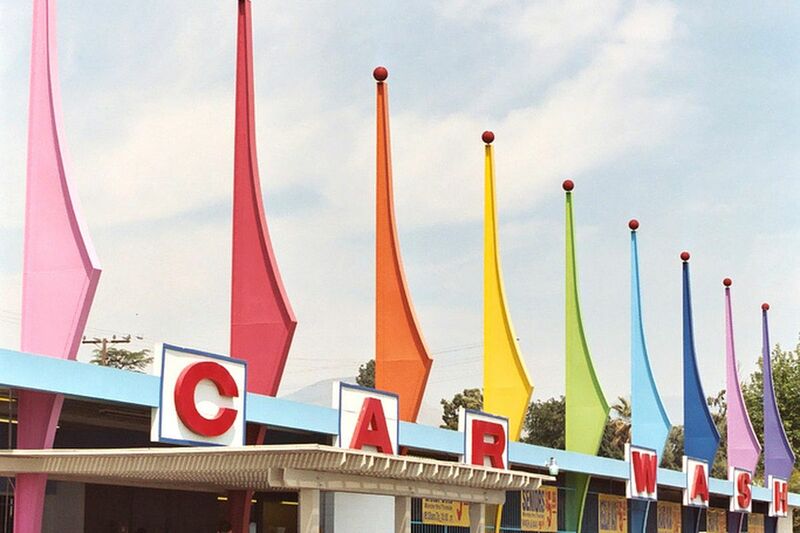 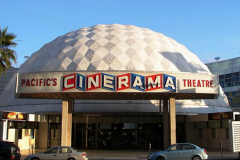 Googie was also characterized by Space Age designs symbolic of motion, such as boomerangs, flying saucers, diagrammatic atoms and parabolas, and free-form designs such as “soft” parallelograms and an artist’s palette motif. 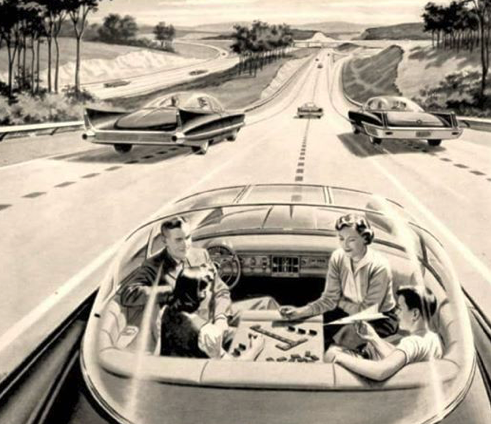 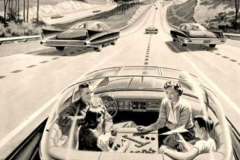 These stylistic conventions represented American society’s fascination with Space Age themes and marketing emphasis on futuristic designs. 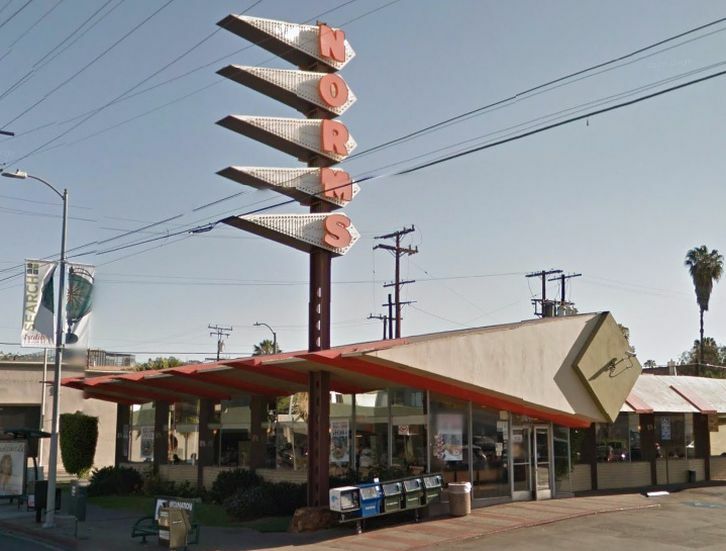 As with the Art Deco style of the 1930s, Googie became less valued as time passed, and many buildings in this style have been destroyed. 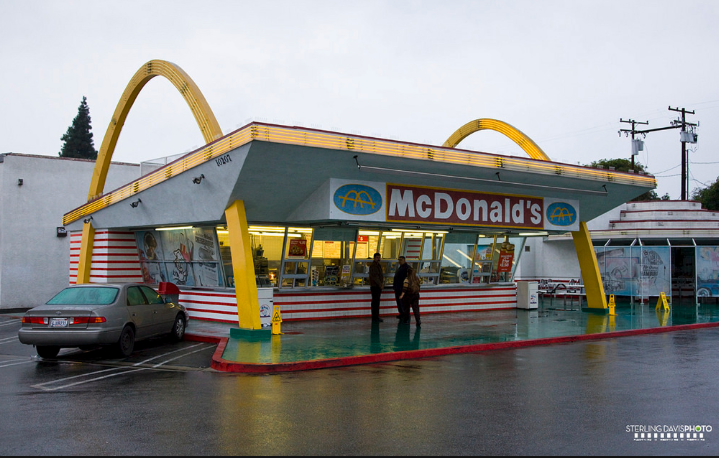 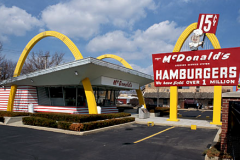 Some examples have been preserved, though, such as the oldest McDonald’s stand (located in Downey, California). 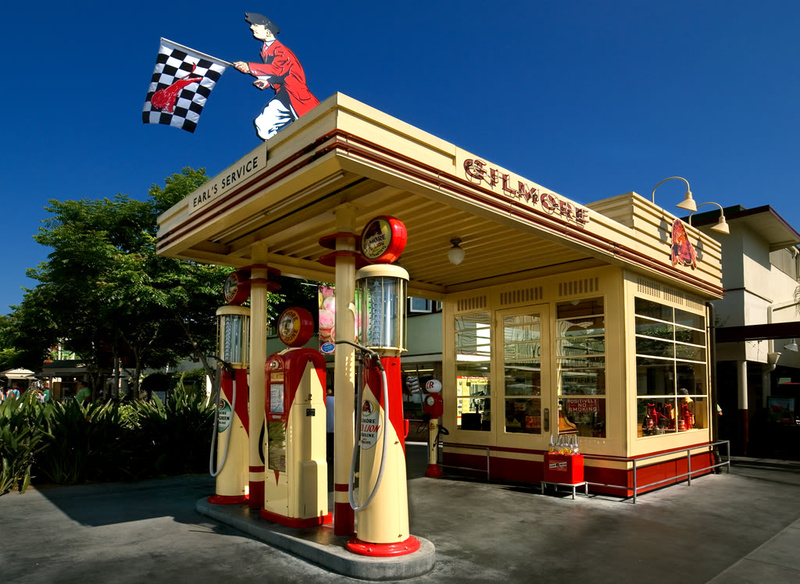 Please note that not all of these images are classic Googie or exclusive to Southern California, some are just too fun to pass up! 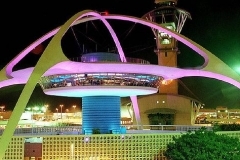 Up next on our visual tour we will explore the designs of John Lautner!